Public Act No. 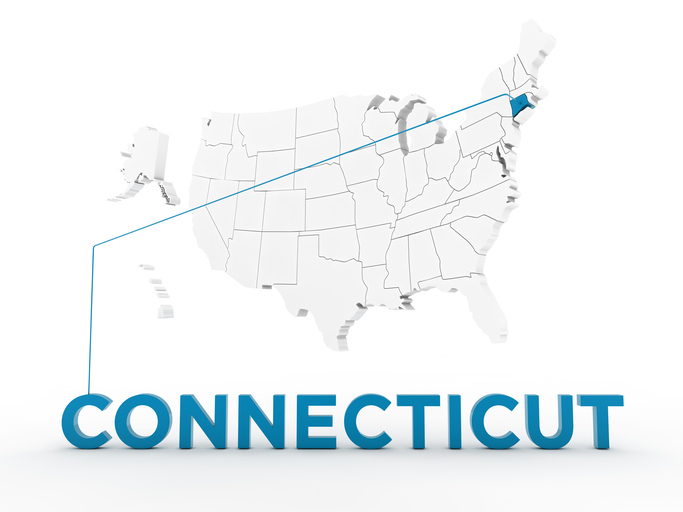 11-205 significantly impacts the way in which the Connecticut Worker’s Compensation Act (C.G.S. § 31-275 through 31-355b) is applied. Generally, under Connecticut’s Worker’s Compensation laws, when an employee is injured in a work related accident, he/she is entitled to worker’s compensation benefits for their injuries. The employer is required to pay both indemnity and medical benefits, in exchange for the employee’s right to sue. However, if the accident was caused by a third party, either the employer or the employee may bring an action in tort against the third party defendant. This right is extended to the employee despite receiving compensation from the employer. If the employee successfully recovers damages from the third party however, Connecticut General Statutes § 31-293 (a) requires that the employer be reimbursed from the net proceeds, less attorney’s fees and litigation expenses. In essence, the employee may not receive any damages from a third party action until the employer’s claim has first been satisfied. Once the third party action is resolved, the employer continues to be liable for any additional benefits arising later. Connecticut case law however interprets § 31-293 (a) to implicitly allow for a credit on behalf of the employer. This credit is often referred to as a “moratorium” against future payments. Enquist v General Datacom, 218 Conn. 27, 587 A.2d 1029. The moratorium applies to any benefits that accrue after the third party action has been resolved, and remains in effect until the employer is made whole. Once the benefits exceed the amount of the employee’s recovery, the employer will again become obligated to pay. In 2011, the legislature amended § 31-293 (a) to reduce by one-third the amount of benefits to be reimbursed to the employer. This reduction does not apply to reimbursements made to the State as the employer or to the Secondary Injury Fund. So long as the employee initiates the action against the third party, he/she will be entitled to the one-third reduction in the workers’ compensation lien. The added text explicitly states that the one-third reduction shall result in a sole benefit to the employee. But what does this mean for the employer’s moratorium, or the potential for double recovery? The Connecticut Supreme Court recently addressed this issue in Patrick Callaghan v car parts International LLC, et al (SC 19755). In Callaghan, the plaintiff-employee was injured in a work related automobile accident and sought workers’ compensation benefits under the Connecticut statute. After receiving these benefits, the plaintiff brought an action for damages against the third party driver. Following settlement, the plaintiff reimbursed the defendant-employer minus the one-third reduction as required by § 31-293 (a). Shortly thereafter, the plaintiff required additional medical treatment but the employer denied payment claiming a moratorium equal to the one-third reduction. The defendant-employer argued that the 2011 amendment did not specifically eliminate the moratorium. The plaintiff-employee argued that the one-third share should not be the subject of a moratorium, because it “shall inure solely to the benefit of the employee,” (P.A. 11-205) as required by the statute. Both the Commissioner and the Compensation Review Board ruled for the defendant-employer. On appeal, the Connecticut Supreme Court reversed and remanded the decision in favor of the plaintiff-employee. The court concluded that the moratorium would not apply to the one-third reduction because doing so would essentially shift the benefit from the employee to the employer. Yet the court did not read the decision as eliminating the moratorium completely. While the moratorium did not extend to future treatment expenses, it will continue to apply to any additional proceeds that the employee receives from the third party action. The court’s analysis was primarily based on the text of amendment, the legislative intent, and the legislative history. The text added by P.A. 11-205 specifically altered the reimbursement procedures set forth in § 31-293 (a). The current text ensures a one-third reduction for the employee’s benefit. Thus, the court held that applying the moratorium to the one-third reduction would directly contradict the text itself by relieving the employer of its obligation to pay future benefits. According to the court, the words, “shall inure solely to the benefit of the employee,” demonstrates a clear intention for the one-third reduction to benefit employees. Additionally, the legislative history confirms this intention as numerous Connecticut representatives from both the Senate and House of Representatives publically supported the act. The legislature envisions the one-third reduction as an incentive for both employers and employees to seek recovery from responsible third parties. Employees had little incentive to do so prior to the amendment as the employer was entitled to the all the proceeds. Despite the reduction, there will be at least some reimbursement to the employer’s insurance provider. Still, concerns of double recovery are less persuasive when, as in the present case, the employer can avoid duplicate compensation by exercising its rights under the statute. Consequently, the holding in Patrick Callaghan v car parts International LLC, et al (SC 19755) altered the landscape of worker’s compensation practice in Connecticut. Following this decision, it became clear that the moratorium employers were once accustomed to will now only apply in limited circumstances. Thus, going forward, employers should strongly consider initiating third party lawsuits themselves in order to avoid the dreaded one-third reduction.